On February 4, 2010, Panda Tai Shan was transferred from the National Zoo to Washington-Dulles International Airport by FedEx for his trip to China. 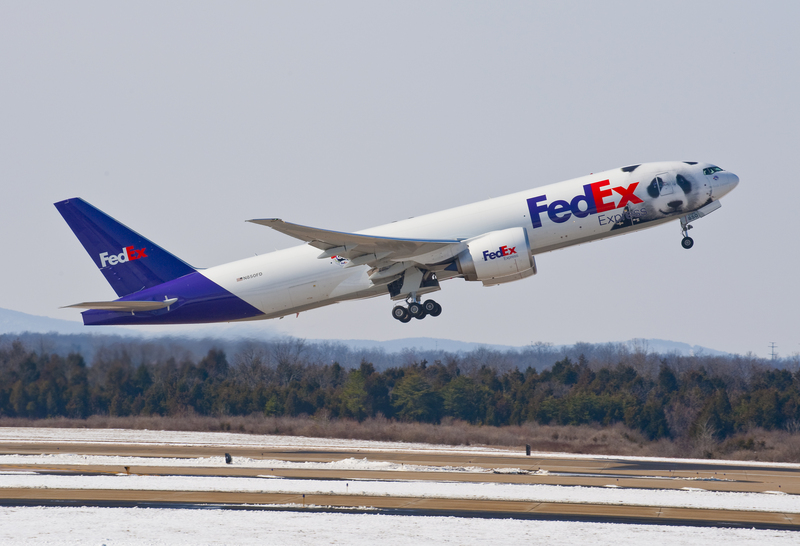 Tai Shan departed Dulles on this specially painted FedEx Boeing 777. Photo By Smithsonian National Air and Space Museum photographer Dane A. Penland.